The new Army IPFU - Improved Physical Fitness Uniform - is great for any workout, for turn in, for physical training of any kind. Discounted prices here at Glenn's Army Surplus for all pieces. All pieces are manufacturered by US Government contracted manufacturers and will have contract numbers and NSN numbers on tags. See shopping cart for sizes. Check the shopping cart for current sizes available in all pieces. We keep up on our inventory in our online store, so if we show it as in stock, it IS in stock. If you do not see your size send us an email message or call us, we likely have it in our retail store. See separate listing for T Shirts and shorts. New Condition: All pieces will be new, unused, un-worn, perfect. The pieces may or may not have tags attached but all will be new. Used Condition: All pieces will be in excellent condition. They will have NO rips, NO tears, NO stains. They may have been laundered or may need to be laundered. 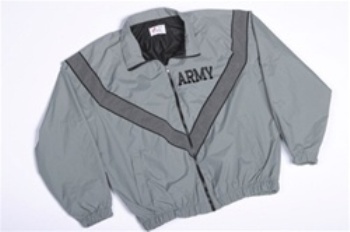 All velcro, zippers, snaps and drawstrings will function excellently and to the high standards of the US Army. A Note regarding Ordering Used: Glenn usually has all sizes of used so instead of listing so many option we are listing each option defined only by the item (i.e. short, jacket, set etc). 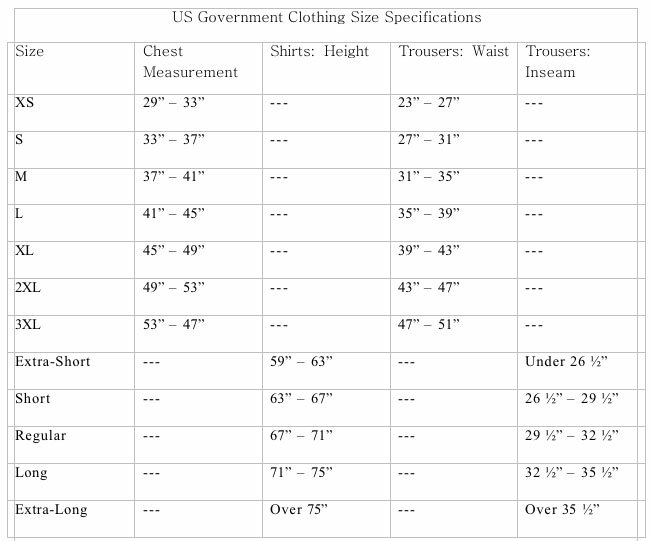 If you would prefer used or we don't have new in your size, select used for the item you want and in the memo write the size needed. If the set has the New Digital jacket this option will be listed as "Digital Set", if it is the Plain jacket it will be listed as "Set"